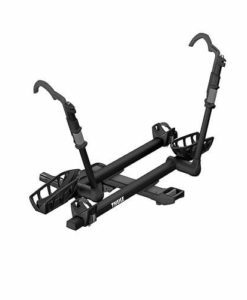 Whether you’re getting ready to feel the thrill of your first bike ride in the wild, or you are an outdoor enthusiast that loves spending days exploring unknown places on the back of your bike, it first needs to arrive at the starting point in one piece. 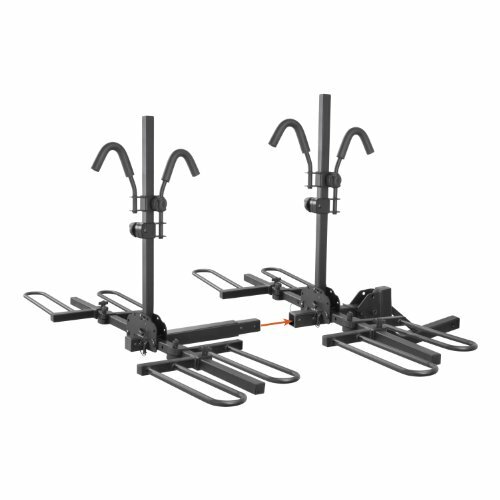 The guys from Swagman might just have a 2 bike platform hitch rack for the job. 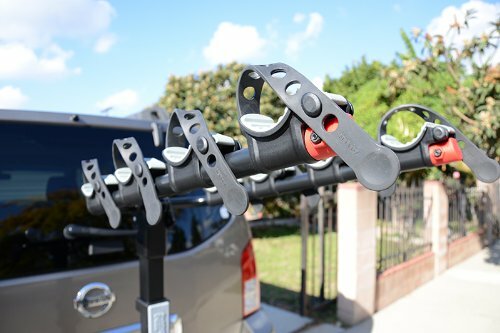 There’s no need to have additional worries regarding your bike’s safety or it’s convenience of transportation if you choose the right hitch mount bike rack. 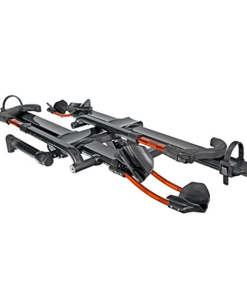 There are a few options out there for you, but in the end, it all comes down to the result given: an unforgettable experience on the seat of your bike and next to your life partner or best friend, exploring the unbeaten paths that lay ahead of you. 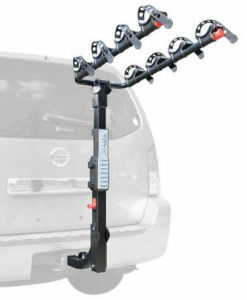 Even if these feelings seem far or you want to enjoy them for more than one day, the 2 bike platform hitch rack from Swagman, the Traveler XC2-RV is up to the task, due to the security it provides to the bike on the road, but also due to the versatility it presents, fitting both car hitches and RV bumpers. 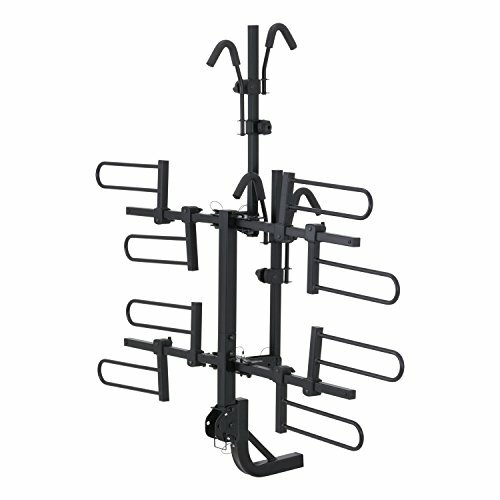 But let’s see if it really fits your needs. 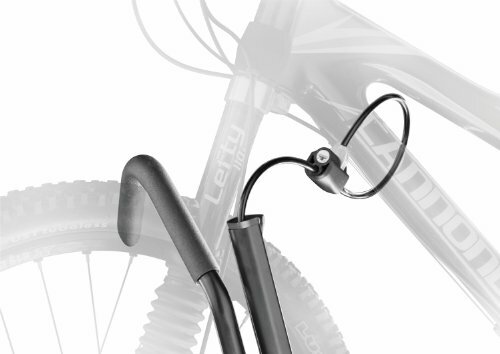 – Also, it shows adaptability, as it has a push-button adjustable ratchet arm, that secures the frame of the bike during transit. 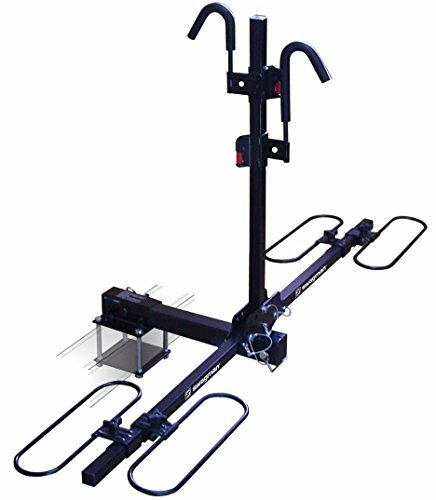 – Versatility is best expressed by the fact it can be mounted both on a 2” class 3 hitch mount and a 4.5” continuous steel welded RV bumper. 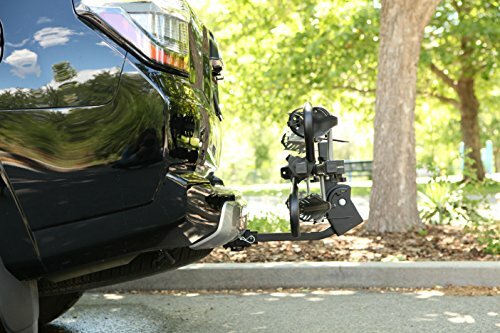 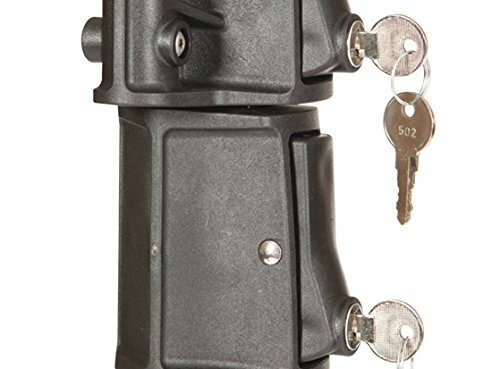 – Although it has the 2” bumper mount adapter included, if you are the type of person that values security more than anything, you’ll probably the locking hitch pin and 10 mm security cable (that have to be bought separately). 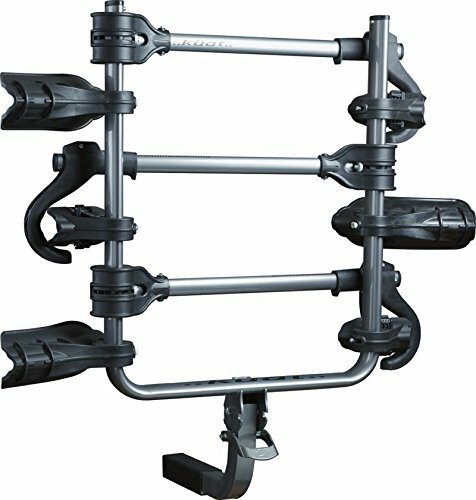 – But this is not all, as this Swagman 2 bike hitch mount rack can carry up to 70 lbs. 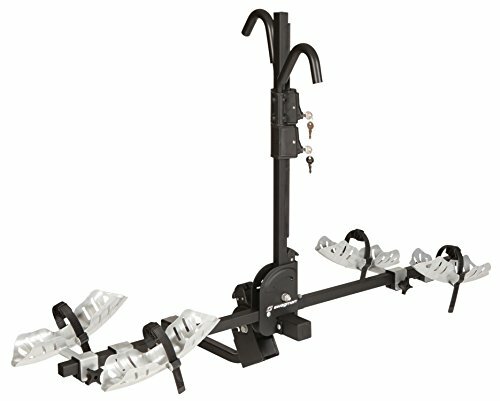 (35 per bike) and it’s one of the most adaptable there is, because it is safe to haul your bikes behind your RV, 5th wheel or trailer with it. 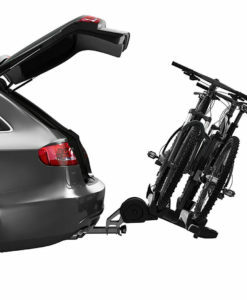 – On top of all that, the convenience is further enhanced at this platform bike rack by the fact that it folds easily, so you can store it anywhere. 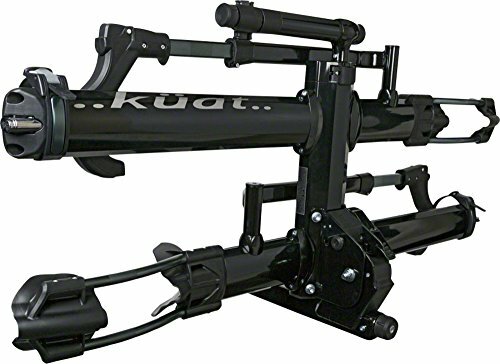 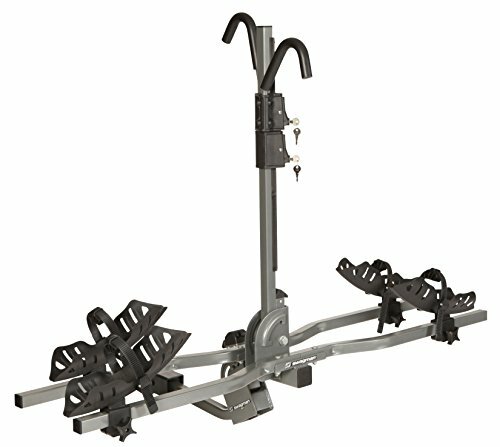 – The durability of this hitch mount bike rack, that can carry any bike with the wheel size between 20” and 29”, is reinforced by the anti-rust coating it has. 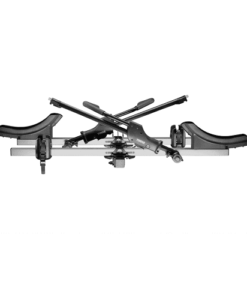 – Where do you note that all of the above advantages come in a product that is no larger than 5 x 35 x 11 inches?